Stunned by a U.S. president who has confronted it, China has unleashed a far-reaching effort to meddle in American elections, Vice President Mike Pence said on Oct. 4. “China has initiated an unprecedented effort to influence American public opinion, the 2018 elections, and the environment leading into the 2020 presidential elections,” Pence said in a major address at the Hudson Institute in Washington, D.C. 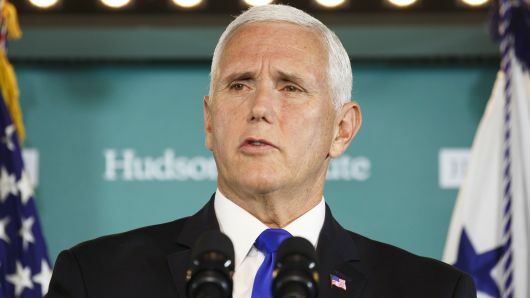 Citing U.S. intelligence reports, Pence said the Chinese government circulated a sensitive “Propaganda and Censorship Notice” in June that stated Beijing must “strike accurately and carefully, splitting apart different domestic groups” in the United States. Trump, at the United Nations last week, had accused the Chinese government of attempting to interfere in the U.S. midterm elections and said Pence would release details in his Oct. 4 speech. “… To put it bluntly, President Trump’s leadership is working; China wants a different American President,” Pence said. “Beijing has mobilized covert actors, front groups, and propaganda outlets to shift Americans’ perception of Chinese policies,” Pence said. At the UN last week, Trump cited a four-page advertising supplement that a Chinese-government media company placed in Iowa’s largest newspaper, the Des Moines Register, as evidence of the Asian country’s propaganda campaign. Trump said China was trying to undermine him because of his aggressive stance on trade, including his the imposition of tariffs on $250 billion worth of Chinese goods shipped to the U.S.
Bolton said “much of what we know remains classified” and due to ongoing intelligence operations, as well as protecting sources and methods, more cannot be revealed at this time.